Nowadays it can be hard to tell what diets are fads or trends and which ones are actually beneficial to your health. The same goes for diets and nutritional plans for your dog. Between words like natural, organic, hypoallergenic, holistic — it can be overwhelming to decipher what is what. This article will help you understand holistic dog food; what it is, what its benefits are, and things to consider before starting your dog on a holistic diet. If you’ve been thinking about switching up your dog’s nutrition program — keep reading! 1 What Is Holistic Dog Food? 3 Does Holistic Mean Grain-Free? 4 What Ingredients Are In Holistic Dog Food? 5 Is Holistic Dog Food Expensive? 7 Where Do I Buy Holistic Food & Which Brands Are The Best? 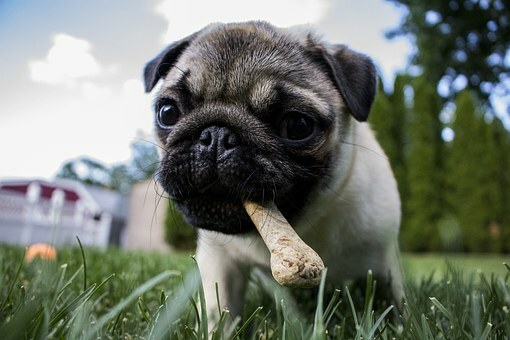 9 Thinking About Moving Your Dog to a Holistic Diet? The main objective and purpose of holistic dog food (and human food as well) is to create balance. Ideally — holistic dog food provides your pup with optimal nutrition as well as supports overall well-being. Different ingredients can provide varied benefits and purposes. Each ingredient in a holistic dog food plan would be selected based on the benefit or purpose that ingredient serves. For example, some holistic dog foods provide high levels of fatty acids while others might contain more easy-to-digest proteins. A truly holistic approach to food means that the content of the food will meet the needs of your dog’s physical, mental, and emotional health. It doesn’t just focus or direct its nutritional properties to one specific system. Each dog, just like each human, is different. Their needs will vary so the type of holistic food you choose for your dog will need to be based on their individual nutritional needs. It is important to keep in mind that, as of now, there is no legal definition of the term “holistic” that has been accepted by the pet food industry. There are also no regulations when it comes to labeling dog food as “holistic” so be sure to do diligent research on the particular brand you might be considering purchasing. Have you ever had a nice juicy burger at a nice restaurant? The ingredients are fresh, local, and delicious. Now compare that to a burger you might order through a drive-thru window — it might suffice but the ingredients are bought in bulk and the burgers are pumped out in mass production. That’s a bit like the difference between a high-quality holistic dog food versus your run of the mill dog kibble from the grocery store. Low-quality dog food brands often focus on low-cost ingredients and production costs. This, of course, will result in a low-quality end product. Just like people, when dogs consume low-quality ingredients over a long period of time, the poor nutrition is reflected in their overall health. When dogs are fed low-quality kibble on a regular basis they may have a flat dull coat, a lack of energy, digestive issues, dull lackluster eyes, flatulence, or diarrhea. Excessive bowel movements or diarrhea could mean that the dog’s current food has too many fillers or they might be unable to process the type of carbohydrate used — like corn or wheat. Any of these symptoms, when not caused by an obvious issue, could mean that your dog is not receiving the proper amount of vitamins, nutrients, or minerals. On the flip side of this equation — kibble is not all bad. It’s just the low-quality versions to worry about. A high-quality kibble (not necessarily ‘holistic’) can provide a lot of health benefits for your dog. More on types of holistic dog food below! In a short answer: no. Many people these days have started to equate grains with something that their dog shouldn’t have. That is just not the case. Not all holistic dog food is grain-free and not all grain-free dog foods are holistic. Unless your dog has a known grain allergy (in which case a grain-free diet is obvious) — grains can be completely healthy and beneficial when eaten in limited quantities. Is Holistic Dog Food Expensive? As a general rule, holistic dog food is made with high-quality ingredients. Many times — holistic dog food contains “human-grade” food. Both of these factors results in a bit more of an expensive product. But the fact of the matter is — you get what you pay for. Low-quality kibble (as talked about above) is usually made with very low-quality products that would not be considered safe for human consumption; this could include nasty chemicals and diseased tissues and organs from other animals. Terrifying, right? Since this is the case — many of these mass-producing, low-quality brands do not focus on quality control which in turn leads to food recalls. In 2016 alone, there were 9 major dog food recalls in America. Sadly, 2017 is already quickly surpassing that number. Here’s something to consider: chances are that you will be paying more for a high-quality holistic dog food, however, you will likely pay far less in veterinary bills or medications from food-related health conditions. Aside from having a healthy dog in the present — feeding your dog better food could result in a longer lifespan. What dog owner doesn’t want that? At this point, you might be thinking: “If I’m spending more money on my dog’s food — exactly what benefits will be dog experience through a holistic diet?” Don’t fret — we’ve listed all of the benefits for you below. You can tell that a dog has a healthy coat by the way it shines and how much they shed (of course, some dogs have a naturally dull coat.) Even if you have a dog that is known as a “shedder,” they will shed less if they eat food that contains few to no fillers and the proper vitamins and minerals. The best ingredient to bring about a healthier and shinier coat is fish oil. You might find that many holistic dog food brands commonly add this ingredient specifically for this purpose. You can even buy pure Alaskan salmon oil for your dog if you want to do so directly! Another similarity to humans is that a dog’s eyesight will gradually decline as they get older. 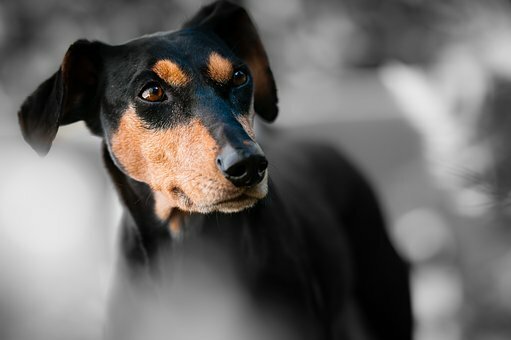 Some breeds might even be prone to eyesight or eye health issues. A holistic diet that is high in antioxidants isn’t only good for their overall health but is also extremely beneficial for healthy eyes and can prevent eye issues. Healthy skin is different than a healthy coat. 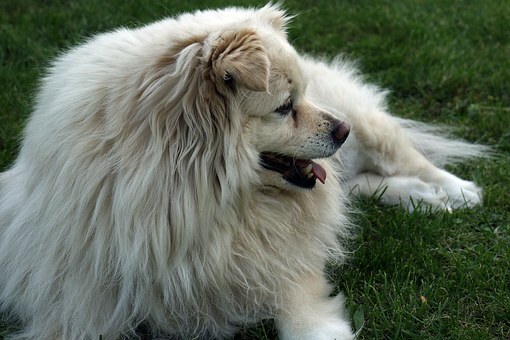 Some dogs may have a nice coat but their skin could be flaky, itchy, or dry. Oils that are found in holistic, and even raw, diets are great at keeping a dog’s skin hydrated and healthy. Fish oil and Vitamin E (and many others) are wonderful ingredients to keep an eye out for when looking for a holistic food that helps your dog’s skin. Again, just like humans, dogs will naturally have more energy when they eat food made with high-quality ingredients. If your pup eats a low-quality food, their body will need to expend more energy trying to digest the byproducts and unhealthy carbohydrates. This will lead to less energy to use for play. In high-quality food, it allows your dog to absorb the nutrients more easily because those ingredients do not exist. The quality of proteins that goes into a holistic dog food is a huge priority. Using leaner proteins, dogs fed holistic foods have a better chance at avoiding any weight-related issues. This can in turn prevent heart disease. Lean meats could include chicken, lean ground beef and fish. 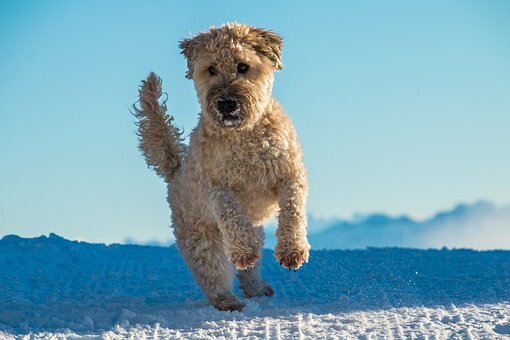 Since a holistic diet tends to have probiotics, they are designed and formulated to help create healthy bacteria in your dog’s tummy and intestinal tract. This bacteria will aid in digestion and also prevent diarrhea or upset stomachs. Something that you might notice after switching to a holistic diet is the amount of #2 bathroom trips your dog takes. Their bowel movements may even be smaller. When a dog eats a low-quality diet, their body flushes out a lot more “waste material” from fillers than a high-quality diet; this causes more frequent bowel movements. A holistic dog food could eventually scale your dog down to only 1 or 2 bowel movements a day. Some dog owners have found that their dogs have completely done a 180 when it comes to their allergies after moving to a holistic diet. Allergies that can cause things such as: itching, dry skin, hair loss, flaking skin, etc. can all be managed with the vitamins and nutrients, such as fish oil and Vitamin E, found in a more holistic diet. Dogs that suffer from grain allergies or sensitivities can benefit greatly from a grain-free holistic diet. Bringing in the proper amount of vitamins and nutrients to ensure healthy digestion. Where Do I Buy Holistic Food & Which Brands Are The Best? Check your local pet store for holistic dog food (wet or dry) — smaller boutique or “natural” pet stores may have more choices. Another great place to buy your dog food is online. Check out Amazon (click here) which has a great selection of holistic dog foods. You could also make your own! It’s up to you to do your research as to which holistic dog food brand is best for you and your dog. Be sure to check the ingredients to be confident that you’re giving your dog the nutrients that work the most harmoniously for them. And don’t forget — be weary of the term “holistic” on the packaging as it has not yet become regulated. Again — it’s up to you do the proper research before purchasing. Since each dog is different, you’ll want to ensure you’re picking an ingredient combination that will enrich your dog in the most balanced and complete way. Canidae uses great ingredients and refrains from using corn, wheat, soy, certain grains, fillers and other by products. They make their products in the US and its foods are FDA and USDA approved. Dog’s love both the wet and dry formulations. Buy yours here! Eagle Pack has been around since the 1980s and is one of the first companies out there to advocate for pets to be on holistic diets. Their products are also FDA and USDA approved, so you’ll never have to worry about quality. There are lots of options, so check them out and buy yours here! Castor and Pollux’s Organix and Ultramix brands have been mainstays of the holistic dog diet for years and they still make high quality products that are super healthy for any dog’s diet. It’s hard to go wrong with this popular holistic dog food brand. Buy yours here! One of the first companies to offer any sort of holistic dog food, Solid Gold offers USDA-grade meats and grains mixed with natural ingredients to keep your dog as healthy as possible. They have an awesome selection and the food does not contain corn, soy, or preservatives. Buy yours here! Weruva is a funny sounding name for a pet food company and even though they started out making food just for cats, they also make an excellent line of canned dog food. Weruva’s dog food only uses human-grade ingredients that your dog will love. Buy yours here! 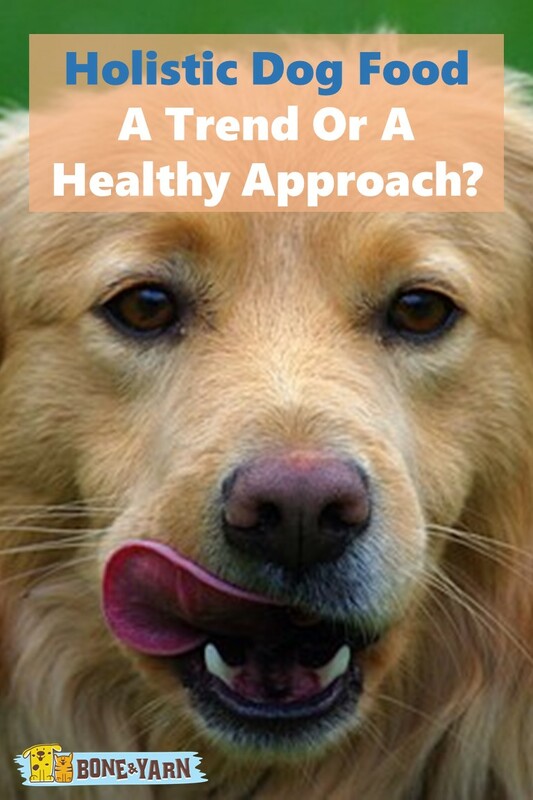 Thinking About Moving Your Dog to a Holistic Diet?